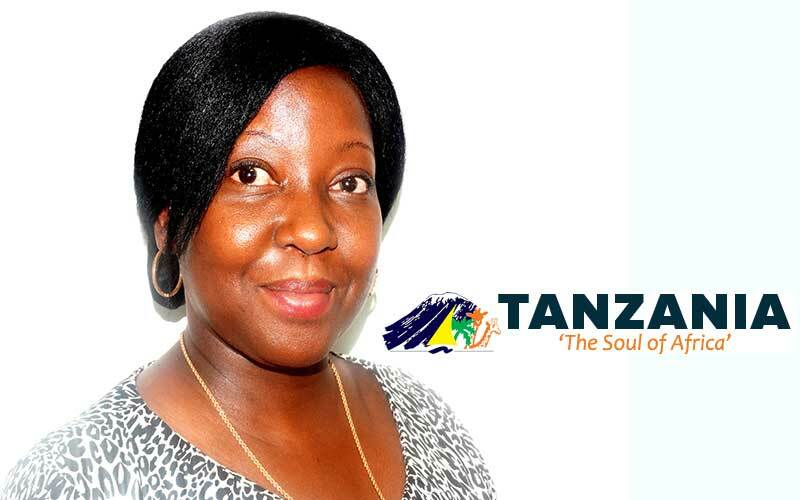 TanzaniaInvest interviewed Devota Mdachi, Acting Managing Director of the Tanzania Tourist Board (TTB), to learn about the Tanzania tourism products, the marketing strategy and the investment opportunities available in this sector. TanzaniaInvest: You recently underwent a rebranding of Tanzania’s tourism, with a new tagline “Tanzania, The Soul Of Africa”. Why? Devota Mdachi: We decided to have a new brand in order to show the world Tanzania’s other tourism assets; Tanzania is not only about its wildlife in its national parks and game reserves, beaches and its mountain, Tanzania has more to offer. We want Tanzania to be seen as the best destination in Africa, not just a safari destination. Wildlife is found everywhere in Eastern and Southern Africa but for Tanzania it’s not only about the wildlife, it’s about peace, culture, a rich history, serene beaches, a rich language and people. When we talk about The Soul Of Africa, we are trying to tell the world that besides Serengeti, besides Kilimanjaro, besides Zanzibar, Tanzania is also famous for its rich history, as it is in Tanzania that life in the world began. It is said that the human kind has his roots in Tanzania, at the Olduvai Gorge, where the first man made his first steps. We also want to tell the world that Tanzania is one of the most peaceful countries in the continent. That is why we opened up our doors to neighboring countries before their independence. It is no doubt that the warm and hospitable people of Tanzania opened their doors to other people in the continent giving them a place to call home; indeed refugees would always find solace and peace in Tanzania. 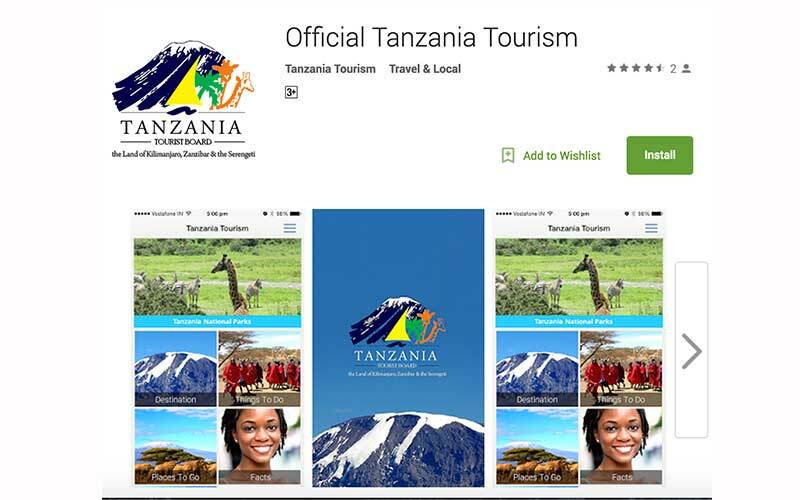 TI: In 2014 Tanzania received about 1.1 million tourists. What are the main source markets today and what are the new markets you are aiming at? What are your growth ambitions in terms of arrival? DM: Our primary markets are the USA, the UK, Germany and Italy. Our secondary markets include France, Canada, Australia, the Netherlands and Spain. Those are the markets we are expecting to get more tourists from. We are also looking keenly at the emerging markets such as Brazil, Russia, China, India, UAE and South Africa. But it’s not just about international markets, we also looking at the Africa region; right now we have started receiving many visitors from Eastern, Western and Southern Africa, coming for leisure and business. And the reason is that certain things are only found in Tanzania. Other countries may have the beach and the safari but mountain climbing on Mt Kilimanjaro, the roof of Africa; the white, sandy, unpolluted beaches of Zanzibar; the blend of cultures, and the hospitality offered in Tanzania by its people, cannot be compared with anything else in the region. In terms of growth we are looking forward to continuing receiving more tourists which will exceed a number of tourists we received in previous years. This goes together with the increment in revenue receipt. Actually, we would like to reach the 1.3 million tourists by December 2015 and 2 million by 2017. TI: How feasible it is? DM: It can be done, with the new brand campaign and tourism portal launched recently, more people will come to know about Tanzania and what it has to offer. The promotion campaigns, such as those done in the EPL and publicity given to Tanzania in our various target markets by the media and celebrities who have visited Tanzania, over the past four years will definitely pay off. More investors have made the right decision to invest in tourism in Tanzania, we have more international hotel chains opening up establishments, these include Four Seasons, Ramada Resorts and Ramada Encore, Hyatt Regency, Holiday Inn, Melia, to mention a few which will cater for upper end tourist markets. Now that we have more International airlines flying into Tanzania and others trying to do so in nearby feature, after seeing the potential, we believe that there will be more traffic coming to Tanzania. We don’t have a national carrier at the moment but I don’t see it as an issue. Airlines like Qatar, Emirates are increasing their frequency of flights and aircraft capacities to Tanzania. That shows that there is interest. The Tanzania Tourist Board (TTB) is lobbying with the Tanzania Airports Authority (TAA) and the Tanzania Civil Aviation Authority (TCAA), to introduce incentives to these airlines that have interest to fly to Tanzania. If you look at the Tanzania tourism product, you will see that it was great potential to diversify. There is great interest in developing cultural tourism in other circuits other than the Northern Tourist Circuit. At present TTB has over 60 Cultural Tourism Enterprises located mostly in the Northern Circuit and efforts are being done to develop more in other parts of the country such as the Lake Zone, The Southern Tourist Circuit and the Coastal area. Tanzania also has great opportunities to promote conference tourism, with the opening of new conference facilities such as the Julius Nyerere Conference Centre in Dar-es-salaam and others in building of new conference facilities in Dodoma, Arusha and Mwanza and the decision of the Arusha International Conference Centre and TTB to join forces in developing a National Convention Bureau. We do believe that this will change the image of conference tourism in Tanzania, and bring prospects of hosting big conferences. TI: Which challenges do you see to the development of tourism in Tanzania and how do you plan to overcome them? DM: We still have challenges in terms of infrastructure development in tourist areas as well as delivery of service; we lag behind our competitors in these two areas. That is why we have been promoting aggressively investments in the sector and well as doing our best to develop the available human resources. This is why the National College Of Tourism (NCT) is working to ensure quality training is offered which can cater for international markets. In terms of supportive infrastructure the present government has made a tremendous good job in developing new airports and airstrips. The new Dar Es Salaam international airport will be officially opened in 2016 to attract and serve bigger airlines. Zanzibar’s airport is also being upgraded and there are new airports in Mwanza in the north, Songwe and Mpanda in the south, and Mafia in Mafia Island. In terms of road network, now all major cities in Tanzania are connected to very good tarmac roads. TI: Where are the best investment opportunities available today in tourism in Tanzania? DM: Investors traditionally focused on the northern tourism circuit of Tanzania, but now we are trying to prove that there are thousands of opportunities elsewhere. For example we are promoting Dar es Salaam as the gateway to the southern tourism circuit and also as the commercial hub of Tanzania. And that’s why you have investors like the Ramada group, which have opened two hotels this year, one in the city of Dar Es Salaam, Ramada Encore and Ramada Resort on Jangwani Beach, north of Dar Es Salaam. There are also a lot of investments taking place in Kigamboni, south of Dar Es Salaam. We are trying to encourage investors not only to invest in the lodges but to bring in town hotels and resorts because right now there’s a lot of business people coming to Tanzania. We are also encouraging investors to invest in hotel establishment in the south because we believe the north has reached a point of saturation. Tourists are hungry for new destinations in Tanzania and we are trying to draw traffic to the south to places like the Selous, Ruaha, Katavi along the coast, Lake Tanganyika and lake Nyasa. TI: All in all, where do you see the Tanzanian destination ten years from now? DM: I think in ten years from now people will still refer to Tanzania as the best destination in Africa. We have so much to offer, there’s so much interest from investors to come and start up projects in Tanzania in the tourism sector.